Arnold Schwarzenegger’s performance as the T-800 (and T-850) Terminator across multiple movies is one of the most memorable in cinema history, and he’s left some mighty big shoes to fill. Now, it’s been revealed who will fill them, as we’re being told that Gabriel Luna is taking on the titular role in The Terminator, director Tim Miller and producer James Cameron’s reboot of the franchise. Also just confirmed to appear in the movie is Natalia Reyes, who joins Diego Boneta, Mackenzie Davis and (slightly confusingly) Schwarzenegger and Linda Hamilton. Luna, who’s currently playing Robbie Reyes/Ghost Rider on Marvel’s Agents of S.H.I.E.L.D., is sure to face intense scrutiny as to whether he can communicate the same cool, unblinking terror and power that Schwarzenegger brought to the role back in 1984. Chances are he’ll fall short, given how iconic Arnie’s performance was, but we’ll wait until we see him in action before making up our mind. While we don’t know too much about the plot just yet, we do know this particular project stems from the rights to the original film reverting to James Cameron next year. Not only that, but it’ll apparently pick up from the events of Judgment Day, ignoring all other sequels. Which, if you’ve seen them, you’ll know is a smart idea. One thing’s for sure, rebooting one of the most beloved science fiction films of the modern era is a huge undertaking, though after Deadpool, I’m sure Tim Miller has the directorial stones to pull this off. Besides, he’s got the notoriously perfection-seeking James Cameron breathing over his shoulder, and you wouldn’t want to let him down. Plus, let’s face it, it’s about damn time we got a win from this particular franchise, right? 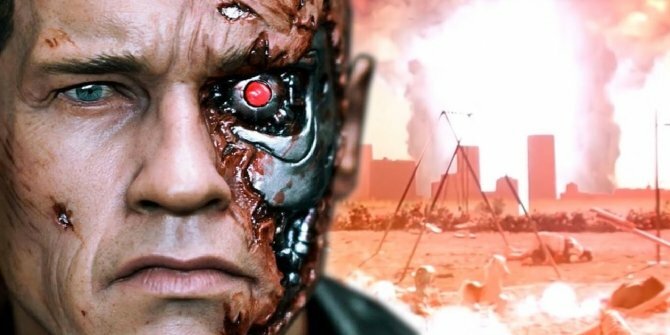 The Terminator officially boots online November 22nd, 2019, where it’ll likely face stiff competition from Wonder Woman 2 and Disney’s Frozen sequel. With casting now well underway, we imagine we’ll be learning more soon and once further updates arise, we’ll be sure to let you know.